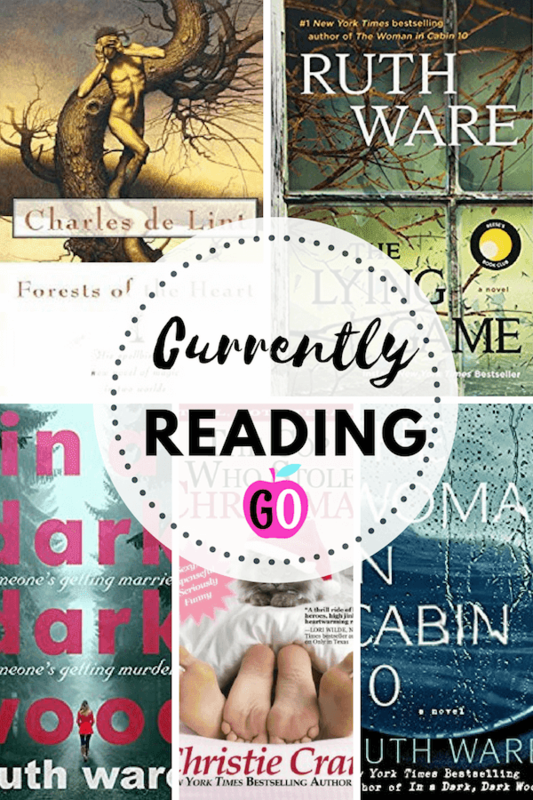 I thought I'd share some of the books I read last month (and a couple in May). Here in B.C. 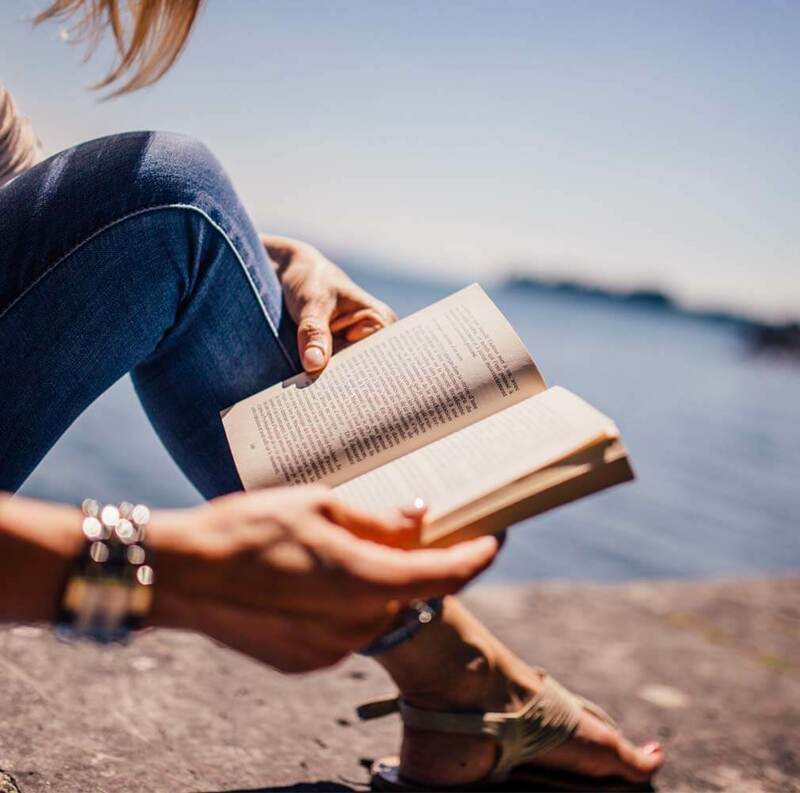 (and all of Canada, I believe) we still have six or seven weeks of summer holidays...so lots of time to catch up on some great books. 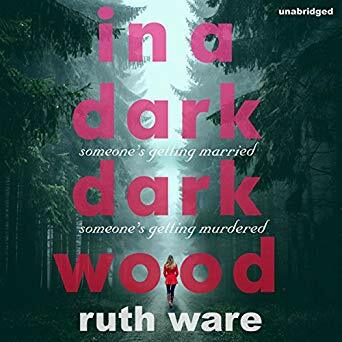 Early in May I read In a Dark Dark Wood by Ruth Ware. I LOVED it so much I went on to read two more (see below). I'm currently reading a fourth book by Ms. Ware, but I'll tell you about it next month. Until, out of the blue, an invitation to Clare's hen do arrives. Is this a chance for Nora to finally put her past behind her? And in the dark, dark room.... Some things can't stay secret forever. Like I said, In a Dark Dark Room was SO good, I went on to read The Woman in Cabin 10. In this tightly wound, enthralling story reminiscent of Agatha Christie's works, Lo Blacklock, a journalist who writes for a travel magazine, has just been given the assignment of a lifetime: a week on a luxury cruise with only a handful of cabins. The sky is clear, the waters calm, and the veneered, select guests jovial as the exclusive cruise ship, the Aurora, begins her voyage in the picturesque North Sea. At first Lo's stay is nothing but pleasant: The cabins are plush, the dinner parties are sparkling, and the guests are elegant. But as the week wears on, frigid winds whip the deck, gray skies fall, and Lo witnesses what she can describe only as a dark and terrifying nightmare: a woman being thrown overboard. The problem? All passengers remain accounted for - and so the ship sails on as if nothing has happened, despite Lo's desperate attempts to convey that something (or someone) has gone terribly, terribly wrong. 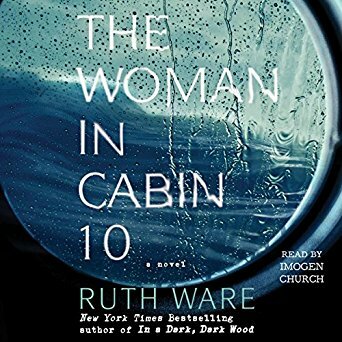 With surprising twists, spine-tingling turns, and a setting that proves as uncomfortably claustrophobic as it is eerily beautiful, Ruth Ware offers up another taut and intense listen in The Woman in Cabin 10 - one that will leave even the most sure-footed listener restlessly uneasy long after the last minute ends. 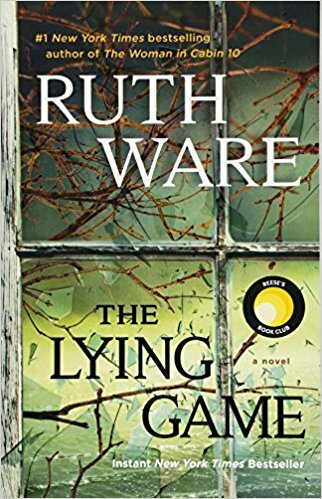 By this point, I'm totally hooked on Ruth Ware's books. This woman knows how to write!! Her books are extremely suspenseful without being terrifying. All I can say is WOW! The Lying Game had me hooked instantly. Great surprise ending, too! Today I started reading The Death of Mrs. Westaway. Can hardly wait to finish it! 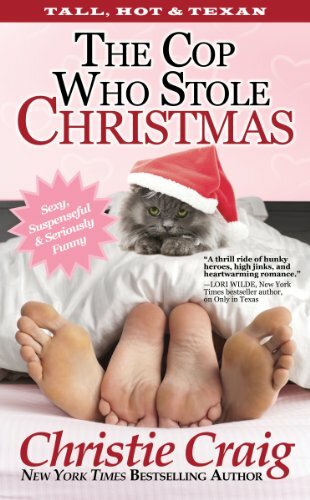 Okay, I don't always read psychological thrillers, sometimes I prefer light-hearted, fun mysteries. This one definitely fit the bill...but bear in mind, it's a little cheesy, too! You can tell from the cover that it's light and breezy, but you know what? That's what I was in the mood for. 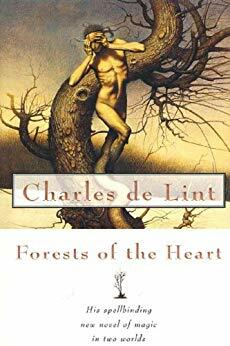 Have you heard of Canadian author Charles de Lint? OMG, if you're into realistic fantasy, this is the author for you. I've lost count now of how many of his books I've read, but I've loved EVERY SINGLE ONE OF THEM. I love his books so much that I almost always buy a hard-cover version and save them. I don't save all my books, but I've been hanging on to de Lint's masterpieces for many, many years. I read Forests of the Heart a few years ago and decided to reread it. I was NOT disappointed. In the Old Country, they called them the Gentry: ancient spirits of the land, magical, amoral, and dangerous. When the Irish emigrated to North America, some of the Gentry followed...only to find that the New World already had spirits of its own, called manitou and other such names by the Native tribes. Now generations have passed, and the Irish have made homes in the new land, but the Gentry still wander homeless on the city streets. Gathering in the city shadows, they bide their time and dream of power. As their dreams grow harder, darker, fiercer, so do the Gentry themselves--appearing, to those with the sight to see them, as hard and dangerous men, invariably dressed in black. Ellie, an independent young sculptor, is another with magic in her blood, but she refuses to believe it, even though she, too, sees the dark men. A strange old woman has summoned Ellie to Kellygnow to create a mask for her based on an ancient Celtic artifact. It is the mask of the mythic Summer King--another thing Ellie does not believe in. Yet lack of belief won't dim the power of the mast, or its dreadful intent. Donal, Ellie's former lover, comes from an Irish family and knows the truth at the heart of the old myths. He thinks he can use the mask and the "hard men" for his own purposes. And Donal's sister, Miki, a punk accordion player, stands on the other side of the Gentry's battle with the Native spirits of the land. She knows that more than her brother's soul is at stake. All of Newford is threatened, human and mythic beings alike. Doesn't that sound amazing? What's really cool about de Lint's books is that they're very uplifting and full of hope. Even though the plot can get mildly creepy at times, he knows how to spin the tale so that you feel good and can't wait to read more. Hope you found something you like.